Princeton Tonight's Haller Rice interviews Mark Hoppus of Blink-182, +44, and Simple Creatures. You can download the audio of the event recorded by a fan. Travis Barker: "We have over 40 songs recorded; only the best 10-12 will be on the new blink-182 record"
Travis Barker visited in the Hollywire studio! We play Hollywords and find out that Travis has four french bulldogs. He tells us about when he was in high school and told his school counselor that all he wants to do was play the drums. His nickname was Tito, Bones and now Trav or T. Travis has worked with Halsey and Youngblud on the song "11 Minutes." He tells us that Blink 182 is currently in the studio making music!! He tells us about Back to the Beach festival where he will be playing at with Blink 182. Travis Landon Barker, aka Trav is a collector of old cars, father, and DJ but most importantly, Travis is a wild cool drummer for bands like Blink-182. 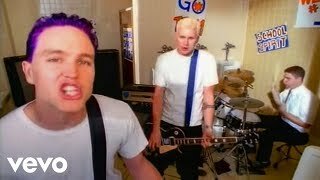 Even though we might know Travis from his role in Blink-182, he is also an amazing solo artist, recently he just came out with a new single with Halsey and Youngblud called 11 Minutes. Tattoos are one of Travis’s signatures, he is a huge fan of tattoos and is always constantly working on new ones whenever he can. When Travis isn’t on tour or in studio, he takes care of his kids or can be seen with his vintage cars all over Southern California, his collection features Cadillacs, and bikes! Travis Barker talking playing "Enema of the State" front to back live for its 20 year anniversary + working with Fat Mike (NOFX) with Erin Micklow for Last Rockers TV at Musink Fest 2019!